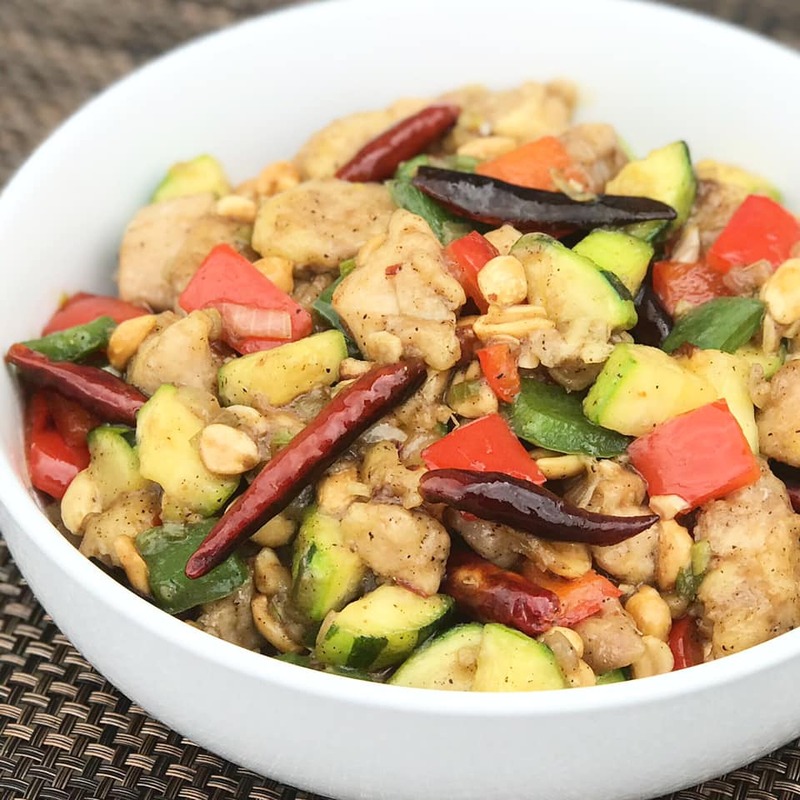 Kung Pao Chicken is a spicy Chinese stir-fried dish made with chicken, vegetables, chili peppers and peanuts. Kung Pao Chicken is highly addictive with perfect combination of sweet, salty and spicy. This Chinese chicken dish is a dry stir-fry and not a lot of sauce added. 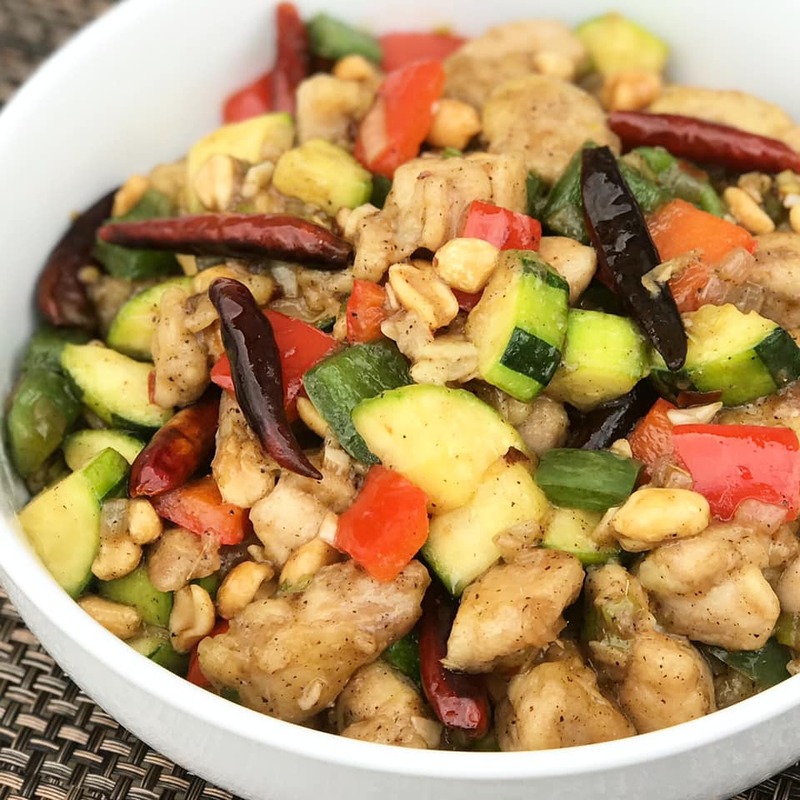 Kung Pao Chicken with zucchini, bell peppers and crunchy peanuts is mouth watering and has an amazing flavor. 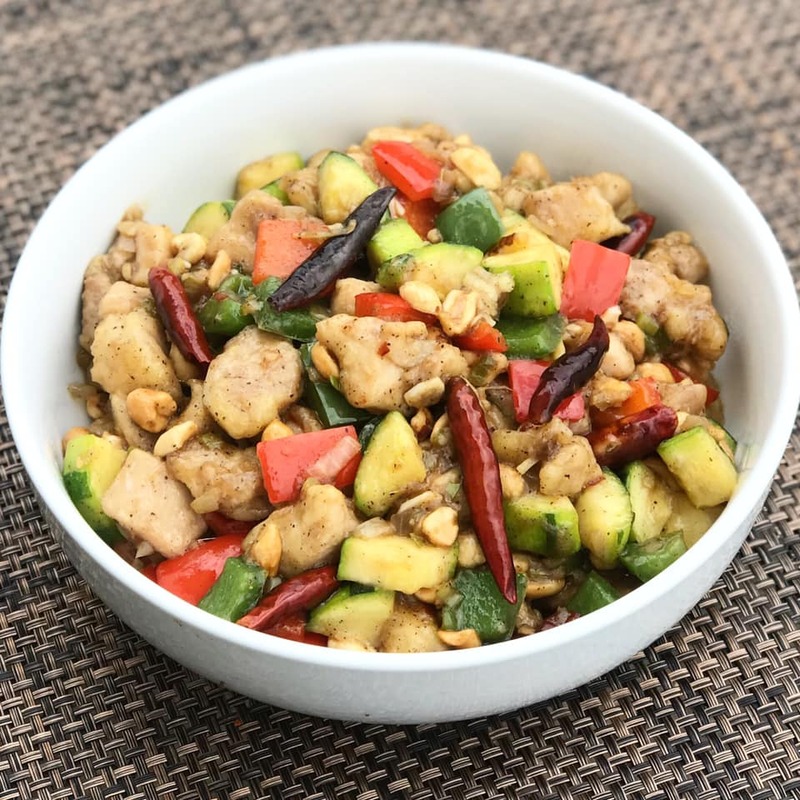 This Kung Pao Chicken recipe is moderately spicy so add more chili peppers flakes to your liking. 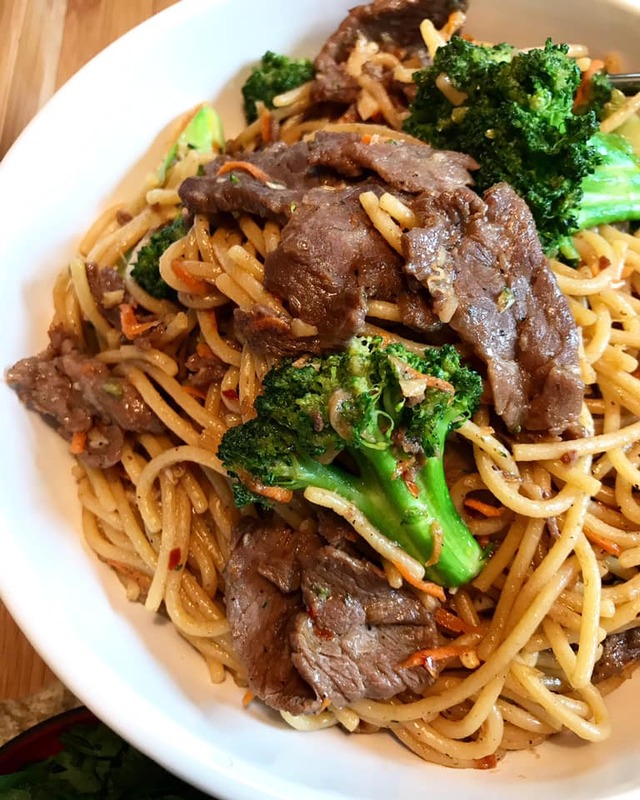 It is quick and an easy meal for weeknights dinner and is faster to make than waiting for take out. 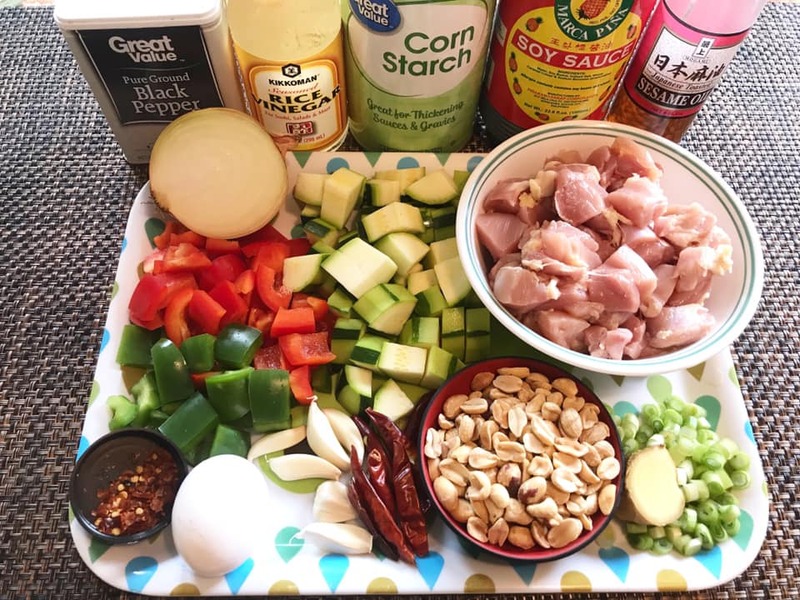 This Kung Pao Chicken recipe is made with homemade sauce and vegetables and crunchy nuts. 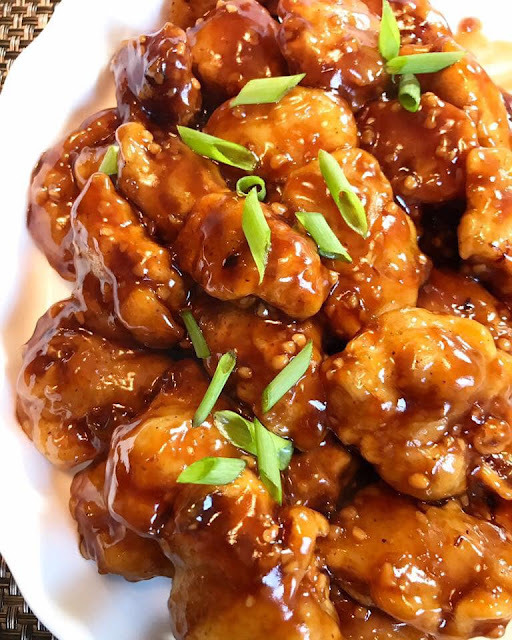 This delicious Kung Pao Chicken recipe is quick and easy to make so skip the take out. Quick version that only requires less than 30 minutes to prepare and cook. 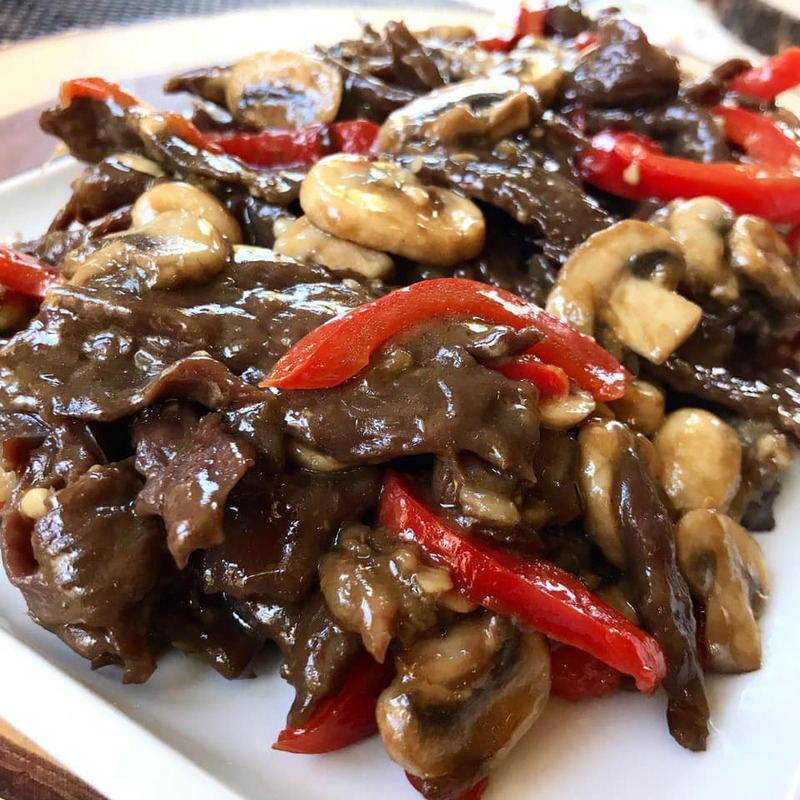 Give this recipe a try and share with family and friends. 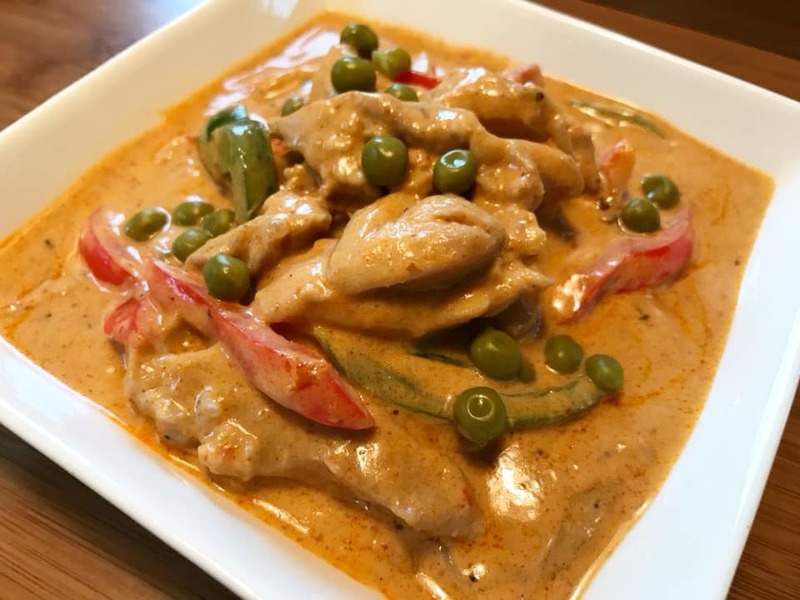 Check related recipes by clicking on name link below the picture to see complete recipe. In a bowl, combine 1/4 cup water, 1/2 teaspoon salt, 1 egg, 1/4 cup cornstarch, 2 tablespoon oil and stir. Add chicken and mix to combine. Refrigerate for at least 1 hour. In a medium bowl, combine rice vinegar, soy sauce, 1 teaspoon cornstarch and 1/2 cup water. Set aside. In a wok over high heat, add 2 tablespoon cooking oil. Add marinated chicken to the wok and stir-fry for about 2-3 minutes. Remove chicken and set aside. Using the same wok, add 1 tablespoon cooking oil. Add ginger, garlic, onions, crushed chili pepper, dry chili peppers, green onions and peanuts to the wok. Stir fry for about 2 minutes. Add zucchini, bell peppers and sesame oil. Stir and cook for a minute. Return chicken to the wok and stir to combine. Cook for 2 minutes stirring frequently. Add soy sauce-cornstarch (#3) mixture to the wok and stir to combine. Keep stirring until sauce thickens for about 2-3 minutes. Transfer in a serving plate and serve hot with steam rice. Enjoy!